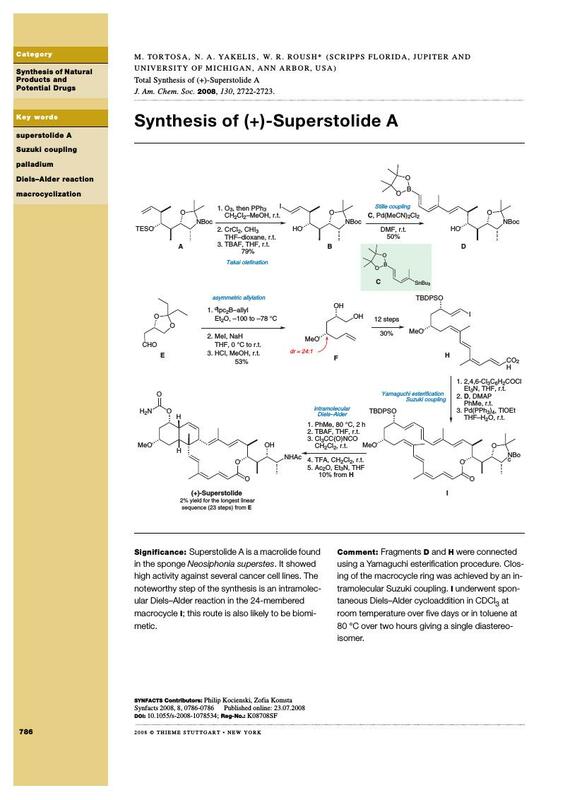 Superstolide A is a macrolide found in the sponge Neosiphonia superstes. It showed high activity against several cancer cell lines. The noteworthy step of the synthesis is an intramolecular Diels-Alder reaction in the 24-membered macrocycle I; this route is also likely to be biomimetic.